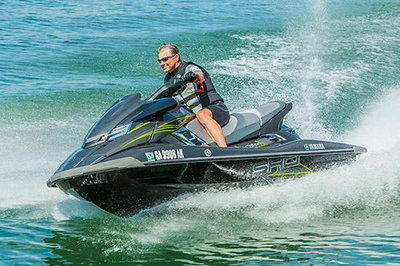 An all-new riding experience for enthusiasts who want powerful engine performance, lightweight stability at top speeds and dual throttle controls for effortless maneuverability. The all-new electric trim responds instantly for a more predictable ride. 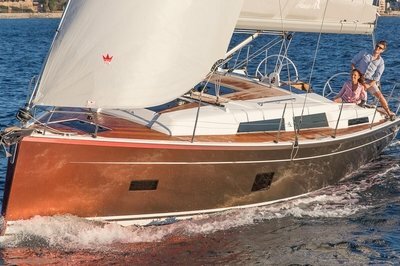 Exclusive upgrades include adjustable tilt steering to accommodate the driver’s riding style, Command Link for easy access to onboard instrumentation and a new meter design with electric trim indicator. 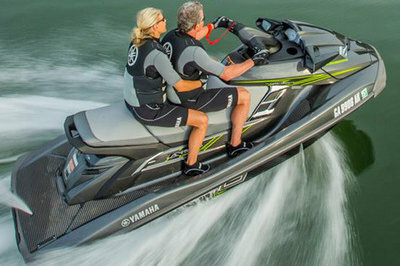 Continue reading for more information on the Yamaha FX SHO. The world’s first dual throttle handlebar control system delivers an all-new, intuitive driving experience. Operation is simple with no manual shifting, no gears and no complicated processes. Just pull the right lever to go forward and the left lever for reverse. 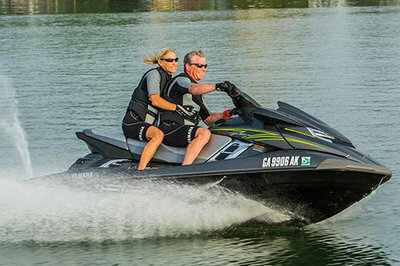 Comfortable, sleek two piece sport seat for up to three passengers. Spacious dry storage area is perfect for towels or other essentials for a full day on the water. Fast-access stern storage keeps tow ropes securely tucked away and within easy reach. Ergonomically designed to make it easier to reboard after a swim. Conveniently tucks away when not in use.